I have started a new blog to chronicle my acting journey. This is to separate the more technical and commercial aspects of my acting experience from the purer spiritual aspects of Vacuum State. This blog will continue to post articles from a spiritual perspective, whatever the subject matter may be, and that includes the subject of 'acting' and 'film making'. Do visit the new blog "Michael Chua", by clicking here. Do give me your feedback, as it is a new blog and comments and criticisms are critical to determine its future path. 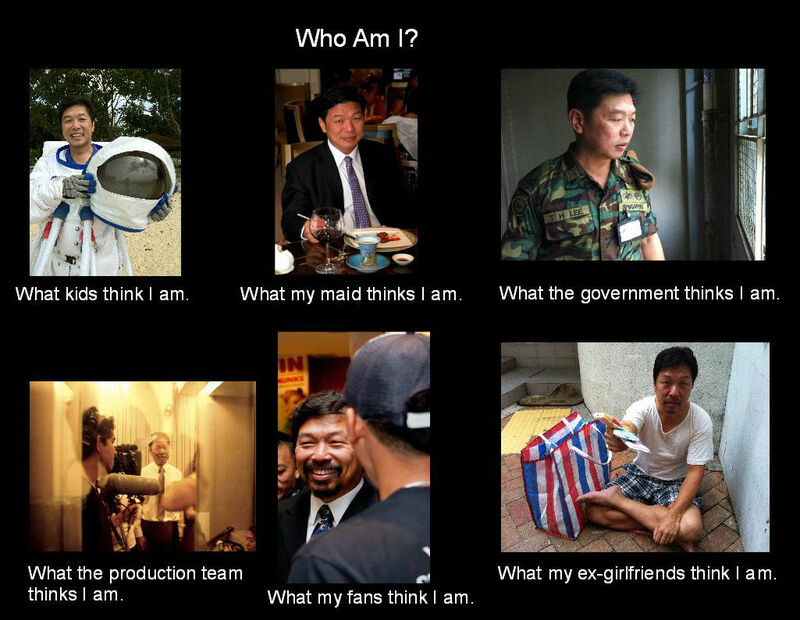 And about the subject of "Who Am I?" as it depicted in the picture above. We are seen as different things to different people, but we are never what they think. We are not even what we do, for what happens is all outside in the phenomenal world in the physical plane. Who we are is more esoteric and more peaceful. great product review. I was very impressed with your review. Another time I will come back to your blog to read the other review.